Google takes securing their property very seriously. When it comes to its data centers, the lifeblood of the company, it’s not joking around, but its security measures are closely guarded. That is, until now. 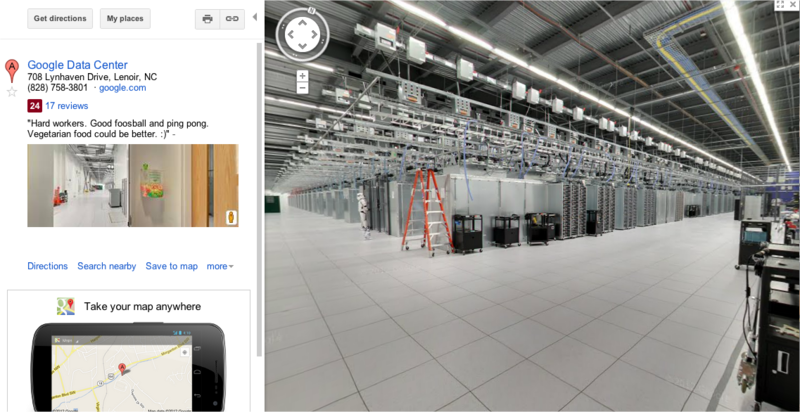 As leaked on Hacker News, someone did a view of the search engine giant’s North Carolina data center on Google Maps and was amazed at what they found: Stormtroopers. Yes, looks like Google has brought in the Empire’s most feared foot soldiers in to ensure the safety of its servers to prevent any sabotage. After all, they don’t want anything to affect its service. Truly, the stormtroopers are there to ensure that these aren’t the droids that you’re looking for. Did you see the stormtrooper? Okay, this is just another fun placement that Google has done with its Maps product. In fact, there are other fun placements at the same data center, including a large Android being locked in a cage, an employee getting “rick roll’d” multiple times simultaneously, or many others. Extremely rare glimpses have been made at its data centers, but Connie Zhou captured the insides of one earlier this month.